Tips for a Cheap Dental Insurance PlanEliminate The Muda! Most people value the importance of health insurance. Unfortunately, not as many people believe that dental insurance is essential to their well being. Don’t underestimate the importance of taking care of your teeth, or you’ll really regret it when you’re older. The good news it that if you need dental insurance, buying a policy is easier than ever before. 1. Check with your employer first. If you get health insurance through your employer, there is a very good chance that you can also get dental coverage. Even better, you can probably get the dental insurance for just a few dollars a month. Simply put, dental insurance is not nearly as expensive as health insurance. So, before you shop around, ask your benefits department if they offer dental insurance. You may be surprised to find that not only do they offer this coverage, but that they have a couple of plans to choose from. If they don’t, check out the next option. 2. Buy your own dental insurance. If your employer does not offer coverage or you are self-employed, buying a plan on your own is a great idea. There are many online service sites that make this simple. A few to check out include: eHealthInsurance, DentalPlans, and DeltaDentalIns. 3. Discount plan or full-fledged insurance? Many people get confused when shopping for dental insurance because of the number of products on the market. On the one hand, there are dental discount plans. This is not dental insurance. Instead, you will pay a discounted rate for everything from regular checkups to advanced procedures. This type of plan will save you approximately 50 to 60 percent on covered care. Dental insurance, on the other hand, works like a health insurance plan. You will pay a higher premium for this type of coverage, but it will save you a significant percentage on your dental care and procedures. 4. Consider the details of the policy. Will you pay a co-pay with every office visit? Is there a deductible? Are you covered at 100 percent for all procedures? These are the questions that you need to answer as you shop for a dental insurance policy. For example, some policies have no co-pay but procedures are only covered at 70-75 percent. With this, you need to consider how much you would pay should you need any work done and if you can afford that. 5. What do you get for free? My policy, for example, gives me two free cleanings per year. At the very least, I know that I can go to the dentist for a cleaning, every six months, and not pay a dime. This is quite common, so I urge you to find a dental insurance policy that offers this benefit. If you follow the above advice and compare at least three policies, you should be able to purchase high-quality coverage at an affordable price. With many different ways to buy, as well as a variety of policies to choose from, there is no excuse for not keeping your teeth healthy! 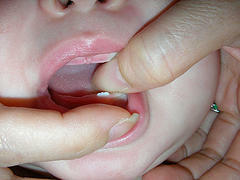 Do you have any additional tips on shopping for a cheap dental insurance plan? I didn’t even know that there were discount dental plans. I’ll pass this on to my brother since he has no dental plan and has been paying out of pocket. expensive! I need a dirt cheap dental insurance comapany to help clean and fix my teeth without hurting my wallet. Please help email me the cheapest denatl insurance plan on the planet as soon as possible please. i’ve been considering a dental plan since i lost my coverage after i left my last job. The dentist bills for a family of four can be pretty steep. I just go in for a cleaning and i ends up costing me at least $200. This is a really well done article most people don’t know about dental insurance o dental discount plans paying a lot for services at the dental office. The best way to know it’s getting advice from a respectful agency or local agent.